Address 1800 N. Burkhart Rd. 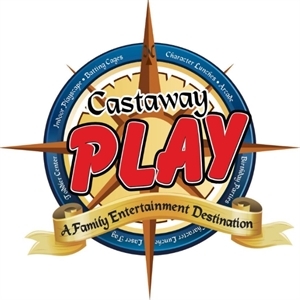 Description Castaway Play Cafe is a family entertainment and amusement center that is fun for all ages. Children love to play and climb on the largest indoor play structure in Michigan or bounce on one of the many bounce houses at Castaway. The older children and parents have a blast in the laser tag arena. Castaway Play Cafe also has a Create-A-Pal Workshop and an huge arcade with prize redemption. The parents that prefer not to play can relax on one of the many comfy chairs or couches and use our free WiFi. Work up an appetite? Castaway is home to delicious, homemade pizzas, garlic knots, healthy wraps, salads, delightful desserts, specialty drinks and much more. All of our food is made fresh right in our kitchen. Visit Castaway Play Cafe, the perfect place for all ages to eat and play! Time Allowance No time limits on play, open format. Add Castaway Play Cafe to your free online travel itinerary.